Create a cool party room in your home with this essential bar unit. 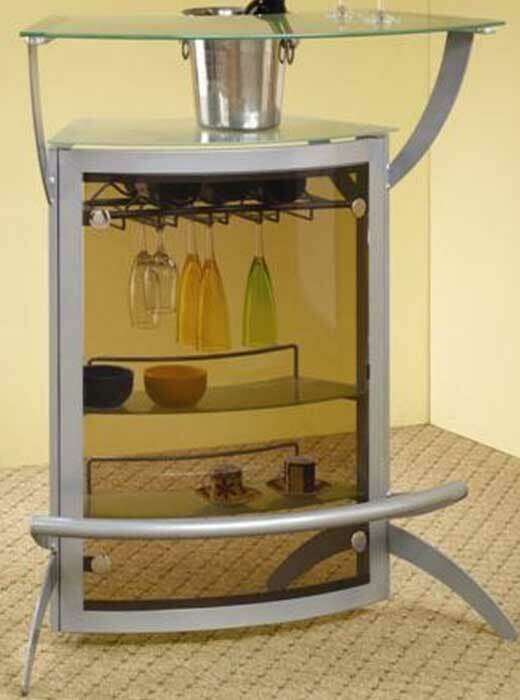 This contemporary bar unit features a sturdy silver finished metal frame, with a sleek curved support at the base, with a foot rail for comfortable gatherings. The lower frosted tempered glass offers space to prepare drinks, while the upper frosted glass deck is great for serving. Create a cool party room in your home with this essential bar unit. 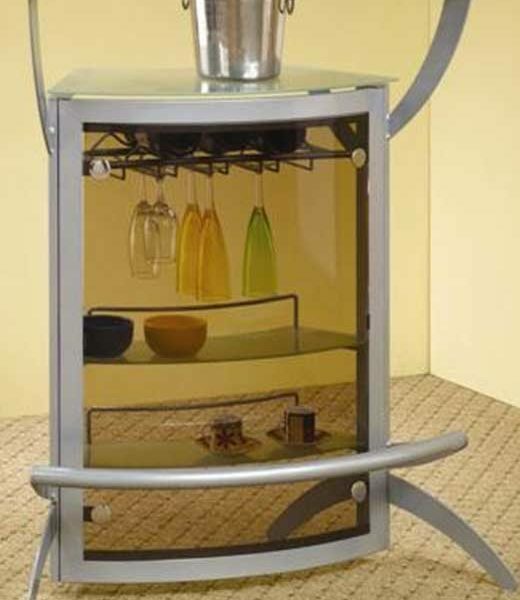 This contemporary bar unit features a sturdy silver finished metal frame, with a sleek curved support at the base, with a foot rail for comfortable gatherings. The lower frosted tempered glass offers space to prepare drinks, while the upper frosted glass deck is great for serving. Shelves and stemware storage below sit behind cool tinted plastic. Use just one, or add more of these modular bar units for a bar size that fits your room and accommodates your guests.